Sign up for a unique experience aboard a catamaran to explore Bequia, one of the most delightful, unspoiled small islands of the Grenadines, nine miles south of St. Vincent. 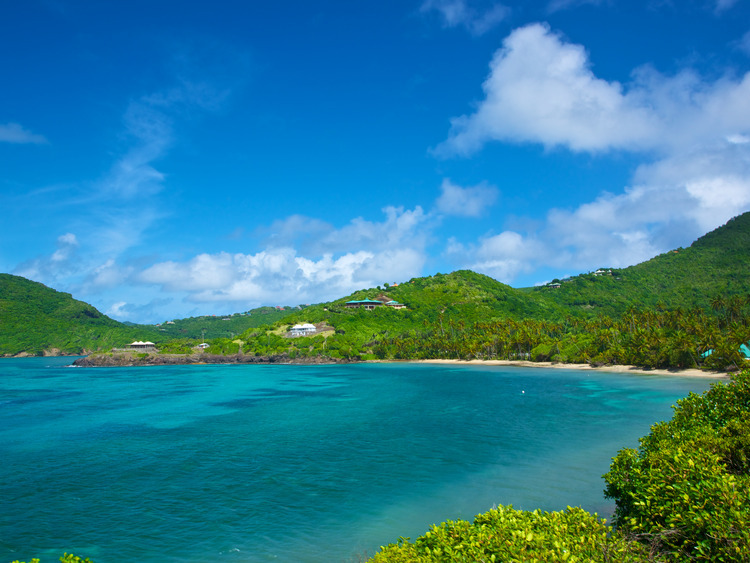 It is the second largest of the Grenadines and measures seven square miles. It is an island completely oriented to the sea, whose seclusion has caused it to retain an age-old tradition of boatbuilding and fishing. Enjoy Port Elizabeth's waterfront path dotted with boutiques and restaurants and take time to browse ashore. Continuing the tour you will see up close a view of Moonhole - a famous and rather unusual residential community. See homes set in amazing rock formations and arches as you sail past. The tour continues to Petit Nevis and Ile de Quatre where you can view an historic whaling station - the only one of its kind still operating in the Caribbean. Your captain guides the vessel to one of Bequia's snorkel spots for those who would like to experience the Grenadines' underwater world. Eat your lunch in this serene location as the waves lap gently at the boat. Continue to Princess Margaret Beach for swimming and relaxation; then it's time to say goodbye to Bequia and return to St. Vincent.